Hold your paws Panthers, while college and all its debts seems like an exciting stage to enter, there are some tips The Signal wants to give you before you embark on your journey. Book-hacks, free stuff (yes, we mean food), and things to keep in mind when you’re strolling around Panther territory – here are our handpicked top five Georgia State hacks. Don’t spend that dime, go online! Before you reserve those Florida sunbeds, make sure to put some $ aside for your books next year. The yearly average of book costs according to Collegeboard.com is $1,200 – and speaking from experience, that’s an underestimate. While often the bookstore is at most convenience, make sure you check out all your options. 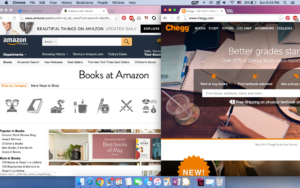 Amazon, Chegg, BookFinder.com, Valore Books, Rakuten.com, and Half.com are just a couple of website options with discounted book prices. Both rental and purchases take a week or two to arrive, so make sure you order in advance, to stay on track with your classes! There are multiple facebook pages and groups created where students share class and textbook advice. The ‘GSU Book Exchange’ Facebook group is one of the biggest, so tap the ‘Join’ button and enjoy tips and book ideas from your more experienced Panther fam. Ask around! Especially in freshman and sophomore year, students go through similar core classes, and end up shoving their old American Government book in a storage box, in a dusted shelf somewhere. Ask a friend, you never know what you might come up with! Join a club! Georgia State organizations, like the Student Alumni Association, offer perks to being a member, like 10% of bookstore purchases, and other discounts. While some may have entrance fees, keeping extra cash in your pocket after a long visit to the bookstore is definitely worth it! The freshman 15 legend that’s been haunting your dreams lately? Not a legend. But have no fear, the Georgia State rec center’s got your back! 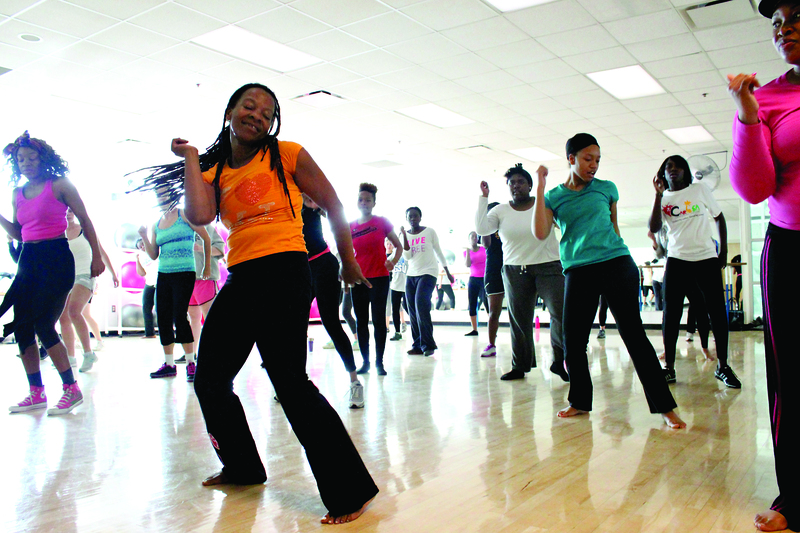 Free – that’s right, absolutely, no-money-paid, free- fitness classes run from the beginning of classes through the Maymester and include activities for all kinds of characters. 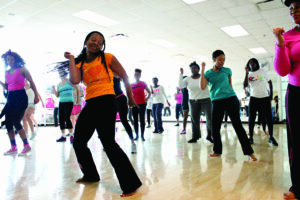 For the tough nuts, there’s Bootcamp, Kickboxing, Cardio Sculpt, and Ab blast, while for a funkier work out, there’s Zumba, Cycling and Panther Pump. And what would finals week be without a breather – the Yoga mix classes offered on an almost daily basis! Restaurants, like the Big Kahuna downtown, offer discounts to Georgia State students on certain days. Bring in your student ID and you’ll enjoy a dinner for up to 20% off! But that’s not all – discounted Aquarium, Six Flags, Zoo and Regal tickets are all included in your student bonus pack! On a larger scale, university students can even enjoy discounted tickets at the magical Walt Disney World, and even Hawks game tickets at a lower price! Georgia State students can also enjoy a movie at the university’s private movie theater, CineFest. While guests can watch the weekly movie selections for only $5 bucks, a Georgia State ID earns free admission! While carrying your books from dorms to class and back doesn’t seem like a fuss, it can be a pain in the.. back. Georgia State’s locker rental service has long gone under the radar, but is definitely something worth taking an advantage of. You can choose a locker in multiple locations from Student Center East, Student Center West, Urban Life Center or all the way in Langdale Hall. 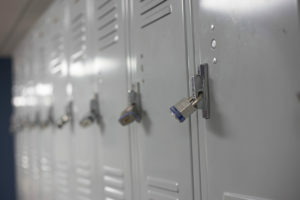 Students can choose to rent a locker for the entire semester for only 20 bucks, with an initial first-time $10 fee. And for the gym junkies, there’s also a locker rental service in the university’s recreation center, to safely store your tech and books while you work out. Georgia State students enjoy a plethora of events, which often offer free food. While stealing a chicken wing shouldn’t be your only motivation to attend the university’s happenings, GSU students have created many groups to keep each other updated on upcoming events… and their menus. Ask around and you’ll find yourself in GroupMe messages with most of the school’s population tipping each other off on where the food’s at. So if you’re running low on ramen, just pop in on campus and enjoy good music, good food, and socializing.